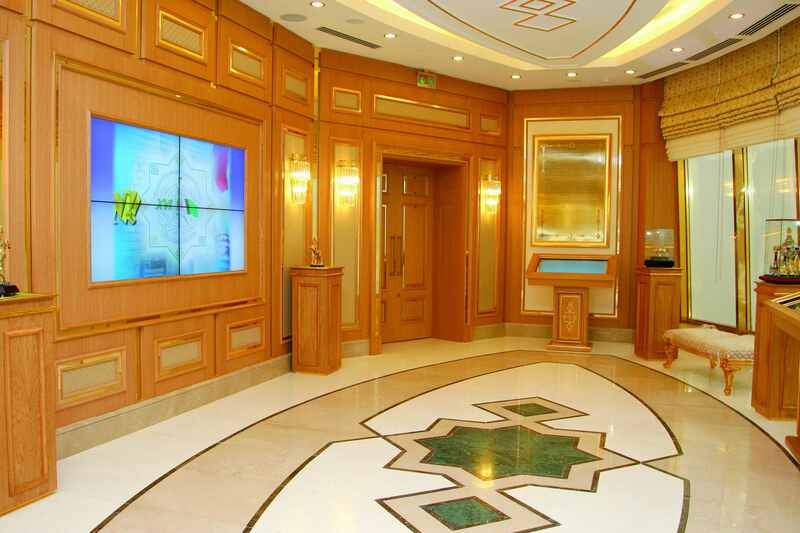 “Neutrality” branch of the State national museum of the State cultural centre Turkmenistan was opened On 12-th of December 2011 to 16-th anniversary of Neutrality of Independent Turkmenistan, due to the tireless care of honourable President GurbangulyBerdymukhamedov. Historical date of 12-th of December 1995 is originally inserted into architectural constructions of this building. Its height is 95 metres. 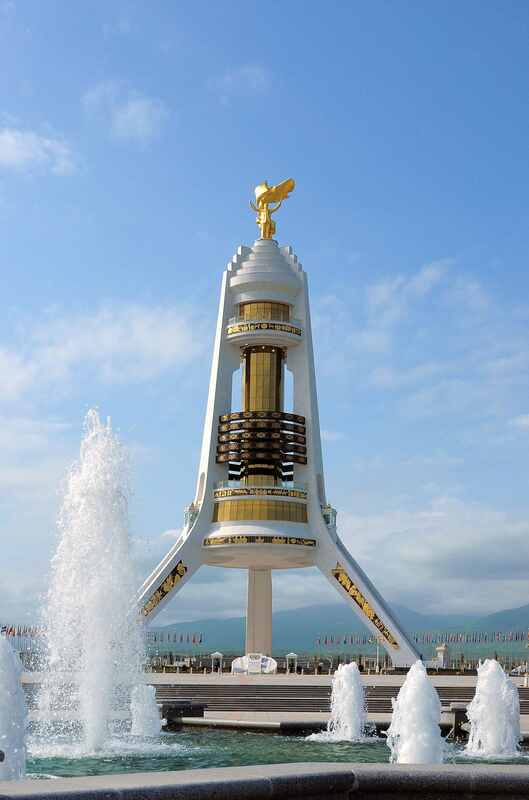 The total diameter of the monument of Neutrality is 100 m, it is placed on pedestal that 1,8 m high. Multistep building is located on 3 powerful columns, which form a tripod. Columns are decorated with pictures, which have goldish shades. These are subjects from history of Turkmenistan beginning from ancient and up to the gaining of Independence. Here is the picture of our ancestor Oguz khan and his 6 sons. Museum of Neutrality is on the first floor. It consists of 3 parts. The first – Turkmenistan is democratic, high-society and legal state; the second – Neutral Turkmenistan; the third - diplomatic relations with foreign countries, epoch of new Revival and reforms. Museum values tell about indoor and outdoor policy of our state and outstanding events of the epoch of new Revival. 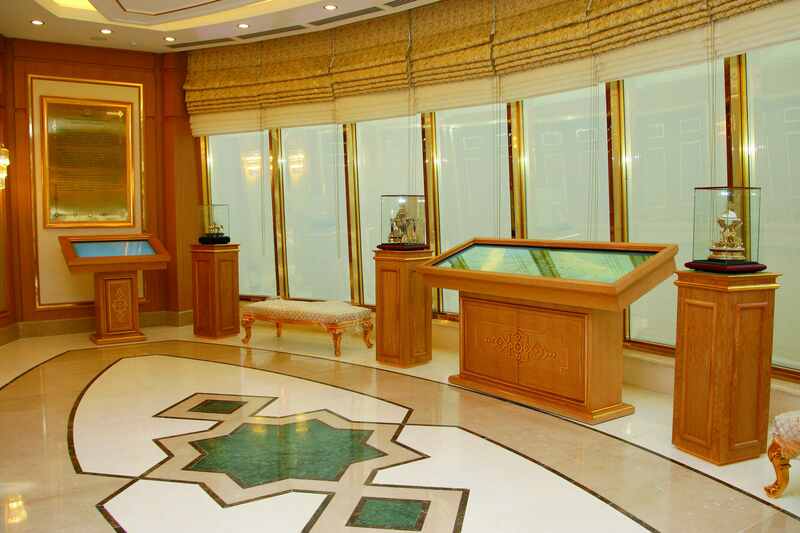 Exhibits in show-cases show that Turkmen Neutrality does not limit by guaranteeing of security and stability in the region, but serves as complete guarantor of strengthening piece all over the world, assists for development of relations aimed to mutually beneficial cooperation for blossoming of the whole mankind. In the centre of the main wall of the first hall is portrait of the President. There are also State flag, State emblem, State anthem, which are the symbols of Turkmenistan as independent state. Flag, Emblem and Anthem are protected according to law. Halls of museum are equipped by interactive liquid-crystal displays. They contain information about the building itself and exposition in three languages: Turkmen, English and Russian.